As I wandered into the galleries of the Irish Museum of Modern Art that contained photographs by renowned German photographer Wolfgang Tillmans I was reminded of the several times I have seen his wonderful work at various galleries and exhibits in Berlin. I can scarcely visit any gallery or museum outside of Berlin that doesn’t have some reference to Berlin, bringing up memories of my 15 years spent in that wild city. I have now been in Dublin for 15 months and, after settling into a job, I am now, finally in the past months beginning to really discover the culture and art of Dublin. One institution that I am in love with is The Irish Museum of Modern Art. The IMMA, as it is known, is currently holding a large scale group exhibition entitled ‘What We Call Love- from Surrealism to Now’ and I have been to the fabulous exhibit twice so far. 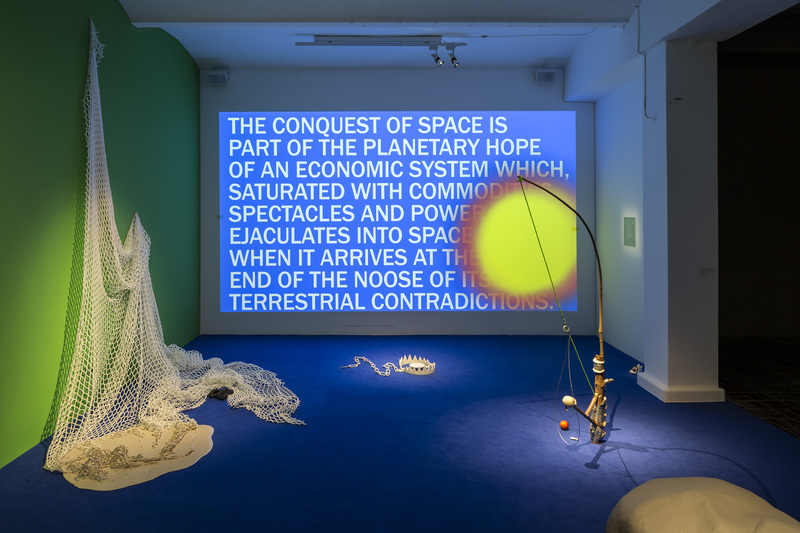 Proposed initially by Christine Macel, head curator of the Centre Pompidou in Paris, the exhibit is co-curated by Macel and Rachael Thomas, senior curator and head of exhibitions at the IMMA. The exhibit contains work by a host of international artists including Salvador Dali, Marcel Duchamp, Man Ray, Marina Abramovic, Louise Bourgeois, Damien Hirst, Rebecca Horn and many more. On my second visit to this exhibit which has engrossed me the past few weeks, I bought the lovely exhibit guide and I read it from cover to cover. I have wanted to sit down and write a review but I have not been able to until now because well, where do you start which such a large and broad topic such as love? I find it very difficult to keep my feelings, emotions and anecdotes from my own love life out of my review. I have no choice but to bring my experience into it. I gain confidence in myself when I look again at Wolfgang Tillman’s wonderful and intimate photos of his subject, a man, Karl and I read in the brochure what is written about the photos: ‘One of the harbingers of a realistic approach to his subject is that the photos lack pretension or conceit, instead depicting moments of vulnerability, intimacy, honesty and intensity’. Vulnerability, intimacy, honesty and intensity. I think about the weight these words hold. I felt very vulnerable as I wandered through the exhibit. I felt a whole range of emotions. My emotions as I explore the different artists’ work are most definitely intense as I relate their statements to my own love life, or current lack thereof. I am a 40 year old single and childless woman. Despite the fact that more and more people are choosing to live alone, I am someone who a certain sector of our society still eyes with a mix of sympathy and suspicion. When I mentioned to a colleague last week that I was reading a lot about the exhibit and would definitely be bringing anecdotes from my love life into my review he teased me and said ‘You will have twenty blank pages then?’ I laughed. I hope he realises that I was not in the least insulted by his joke about my current lack of love life. As a writer, twenty blank pages signifies hope and possibility. It is exciting and there are many possibilities for ideas and interpretation. I am reminded of what Alicia Knock writes in the exhibit brochure about Surrealist painter Meret Oppenheim’s painting ‘Daphne and Apoll’ (1943) which is on show: ‘Meret Oppenheim’s works escape categorical definitions in favour of open-ended readings. A man, a woman, an androgynous person or the artist herself, the viewer understands that art should be endlessly admired, interpreted and desired, just like love.’ Indeed, there is so much to write about love that the twenty pages would be quickly filled. My real challenge lies in narrowing my focus and writing an essay that readers will read to the end. Among the first works one sees upon entering the exhibit is a painting ‘The Kiss’ (1931) by Pablo Picasso and a sculpture ‘The Kiss’ (1923) by Constantin Brancusi. Picasso’s work of this time became filled with pathos as his own love life was an emotional shambles. His depiction of kisses appear painful and he describes love as ‘a nettle that we must mow down at every instant if we want to have a snooze in its shadow.’ I think about the concept of a painful kiss. If a kiss is not good, I will likely end a relationship pretty promptly. No pain, move on. It wasn’t love and there was no chemistry. In my experience it is only the memory of a good kiss that causes pain when you think about it over and over and how you can no longer have that desired kiss. The pain is in the loss and the projection of the sexual fantasy onto the person who bestowed the kiss initially. In his installation in the exhibit ‘Piece Mandala/End War’ (1966) American artist Paul Sharits explores the double meaning of projection. He projects a film of a couple making love onto a wall of the gallery. There are strobe lights and flickering images. High speed splicing of the images leaves an after image on your retina making it even harder to forget. 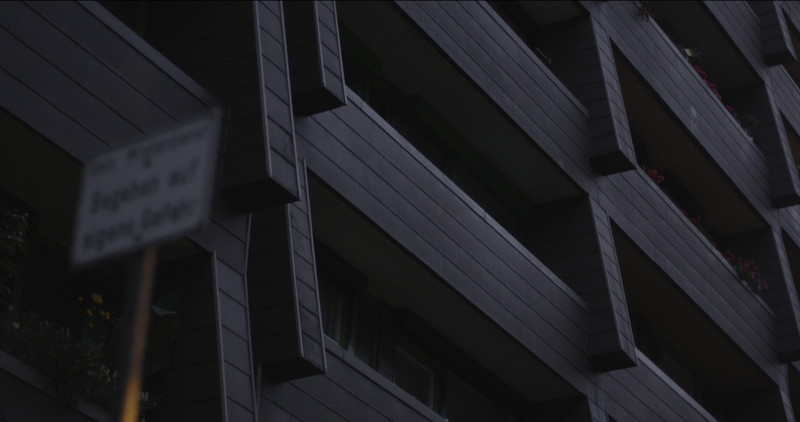 Sharits shows us that film is a good medium to create infinite loops. The full comprehension of his work makes me both embarrassed and sad. The ‘infinite loops’ and the ‘projection’ are a metaphor for the psychological projection of sexual fantasy and obsession, I know only too well what it feels like to have the pleasurable memory of my last lover on infinite loops in my head. The act the lovers are carrying out in the film is also pretty much identical to the one of my own fantasy (a fantasy which is a real memory of a real event, but now rendered a fantasy nonetheless). Do I find any solace in this installation? A little, I guess. My obsession and suffering is pretty much universal. I am not alone in it. I still have very vivid and intense memories of my last lover who I still miss, there is no denying it and this exhibit is undoing any progress I have made in moving on. Another artist whose work is featured is that of French-American artist Louise Bourgeois. She has several works on show all entitled ‘The Couple’ (2003). And although I am still nursing the pain of a lost love I feel empathy for Bourgeois as it seemed she suffered a whole lot more in love. She claims to have been incapable of seducing or gaining another’s affection, which is of course, a sorry state of affairs. And yet, love and obsession play a role in her work. One piece by her that particularly struck me was an embracing couple made of fabric and stainless steel underneath a glass covering. The obvious interpretation would be the idea of a couple isolating themselves from the world and finding their love to be all-fullfilling and all-consuming. I was reminded, however, of Anais Nin’s short story ‘Under a Glass Bell’ and Sylvia Plath’s semi-autobiographical novel ‘The Bell Jar’. Plath’s bell jar is used to describe her isolation from enjoyment of life’s pleasures and a way of describing the incapacitating depression she suffered: ‘If Mrs Guinea had given me a ticket to Europe or a round-the-world cruise’, writes Plath, ‘It wouldn’t have made one scrap of a difference to me, because wherever I sat, on the deck of ship, or at a street cafe in Paris or Bangkok – I would be sitting under the same glass bell jar, stewing in my own sour air.’ I may get a little sad with the pain of loss and have a hard time letting go, but I certainly never suffer the kind of depression and despondency that Plath describes in her story and for that I am grateful. Anais Nin, in her story ‘Under a Glass Bell’ describes how one with an opulent lifestyle and riches in a big house can be then trapped in a marriage that is a farce with no escape. A glass bell covers the whole house: ‘Every day the silence, the peace, the softness, carved with greater delicacy the glass chandeliers, the furniture, the statuettes and laces… under the giant glass bell the colours looked inaccessible….’ This one piece by Louise Bourgeois says it all to me: how love can be isolating and depresssing and how the lure of riches can trap us into a situation we do not love. ‘How the lure of riches can trap us into a situation we do not love’ is what I thought of English artist Damien Hirst’s piece for the exhibit entitled ‘I’ll Love you Forever'(1994). Hirst is one of Britain’s wealthiest and highest paid artists and ‘I’ll Love you Forever’ is a blue painted steel cage filled with medical waste containers and a gas mask. It was only the second time I went back to the museum did I notice the padlock on the cage. So, there really is no escape from this suffocating love. According to the exhibit brochure Hirst’s cage filled with explosives ‘condemns romantic passion to its inevitable implosion over time.’ This is a fine interpretation but I find the cage with golden bars to be a more suitable analogy. The cage with golden bars keeping one trapped in a relationship that grows ever more toxic. I have my own experience with this too. I was in a relationship with a wealthy man for a few years and he was happy to pay for everything which in hindsight, I realise, was his way of compensating for the lack of passion in the relationship. Fortunately the cage I found myself in did not have a padlock and I escaped from that situation. I may be a little lonely at times but at least I am free. So when we say we have a dream partner there is a neuroscientic explanation for this. And when we fall in love and can’t stop thinking about the person and we experience feelings of well-being as well as a subsidence of fear, it is the deactivation of the amygdala that we can thank. I have had a hard time writing this review about love, considering the current status of my own love life which is the pathetic state of continuing to pine over a love that is lost and continuing to feed the fantasy of that lost love. But I am still full of hope that I will fall in love again at some unexpected point. I will meet another dream man, and I will celebrate the chance encounter in the same way the Surrealist artists and writers celebrated these coincidences of crazy love. And I will write more and be inspired and find a new muse. As Georges Sebbag points out in his video installation in the exhibit: ‘For the Surrealist, art, love and freedom took central stage. Ultimately, poetic expression was inconceivable for them independently of love.’ I would suppose this love has to be real or imagined, because some form of fantastical love or imagined muse has inspired me to write this essay even though I am experiencing a prolonged period of singlehood. The exhibit at the IMMA is immense and I have barely scratched the surface of this topic, but that will have to be dealt with in a second essay. Love is, after all, a vast topic with infinite interpretations and variations. ‘What We Call Love – From Surrealism to Now’ runs at the IMMA until February 7th 2016. A month ago I attended the fabulous exhibition: ‘Sargent: Portraits of Artists and Friends’ at the National Portrait Gallery in London. A friend of mine had recommended I go while in London and I had no idea what was to await me there. I had learned a little about Sargent in my art history class at secondary school in Ireland, but I had not expected such an incredibly breathtaking and awe-inspiring exhibit comprising over 70 portraits by Sargent brought together for the first time from galleries and private collections around the world. John Singer Sargent, a distinguished painter and muralist, was born in Florence in 1856 to American expatriate parents, the physician Fitzwilliam Sargent and Mary Newbold Singer. He had little formal schooling in his childhood, as his parents were constantly moving around Europe. His mother (who reminds me of my own restless American expatriate mother) believed that the artistic and architectural wonders of Europe were enough of an education for him and his younger sister Emily. 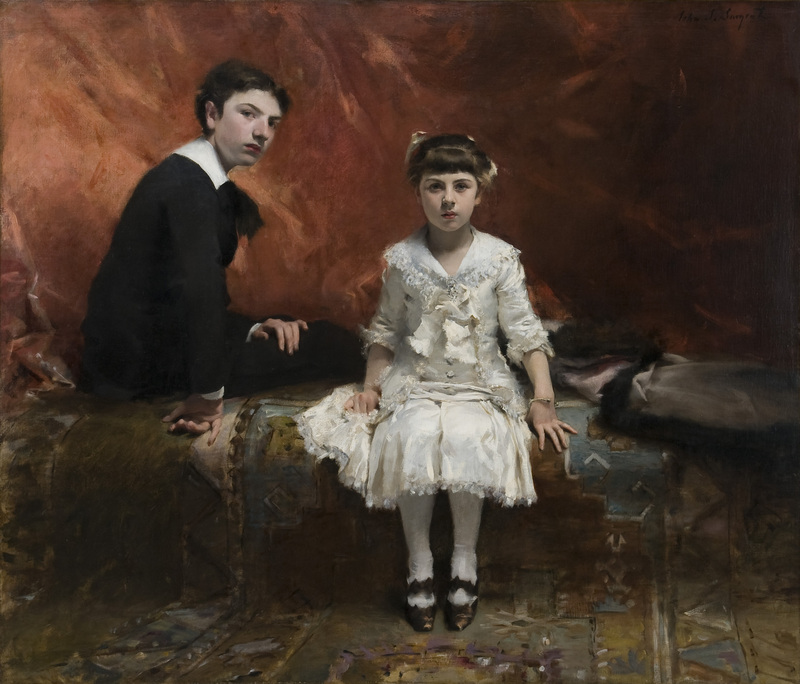 Sargent was encouraged by his parents to draw and paint, and in the spring of 1874 the family moved to Paris to find an art instructor for the then 18 year old Sargent. The chosen instructor was the flamboyant Carolus-Duran who immediately recognised Sargent’s immense talent and took him under his wing. Carolus-Duran had many young American artists in his studio in Paris, and it was here that Sargent made his first connections to the North American art world. The most striking thing about Sargent was how incredibly cosmopolitan he was, moving easily in his lifetime between the art scenes of London, Paris, Florence, Boston and New York. Not only was he a hugely talented painter, he was also fluent in English, French, German and Italian making it very easy for him to speak to all his portrait clients in their native languages. The collection of paintings at the National Portrait Gallery are not portrait commissions, however, but portraits of his many friends in the world of art, music, literature and theatre. These paintings are not formal works created for clients, but daring and sensual portraits painted mainly as gifts for the sitters. 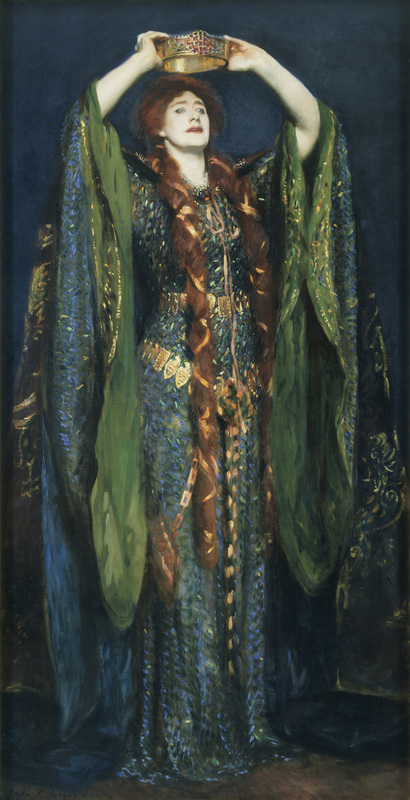 It is a collection of highly-charged and unique portraits in which Sargent was free to experiment. And you can feel this energy when gazing at the portraits. I found myself standing in front of a full length portrait of Madame Edouard Pailleron who was the wife of the bohemian writer Edouard Pailleron, a very influential person and a sponsor of Sargent’s early career. Madame Pailleron is outdoors and is wearing a black dress with white lace. The contrast between the black dress and the green background is stunning. A man was standing next to me gazing at the portrait too and I could feel a triangle of tense energy between me, the man and the painting.We fell into conversation. ‘It is astounding how much he achieved in his life.’ I said to the man. ‘And to think that he confided to the author Henry James when sitting to paint his portrait that he felt he had lost confidence in painting portraits? How could this even be possible, that Sargent lacked confidence when you see this incredible exhibit?’ The man and I conversed briefly before going our separate ways in the museum. Next to the portrait of Madame Pailleron is a portrait of her children: Edouard and Marie-Louise Pailleron. Sargent may have had moments of self-doubt regarding his talent, but he certainly seemed to have had a lot of patience with his sitters. It is reported that it took 83 sittings to complete the portrait of the Pailleron children. Marie-Louise battled with him over hair and costume. It is said that Sargent had a great understanding of child psychology. His patience with the spoilt Marie-Louise is surely testament to this. 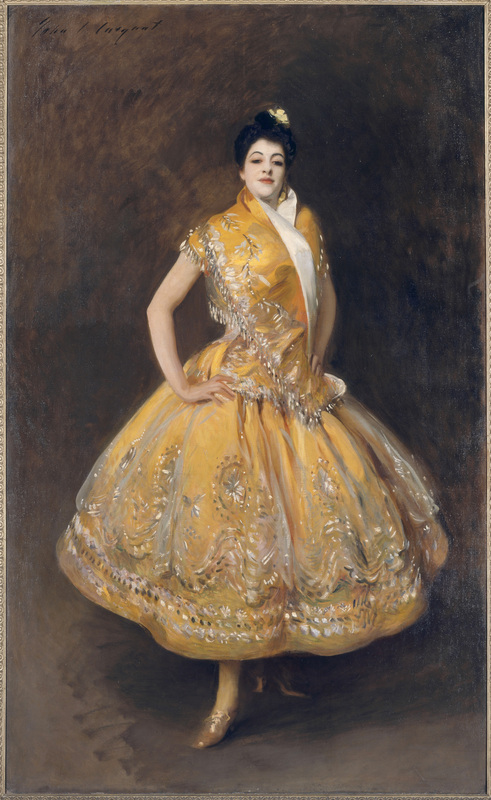 Erica Hirshler,the curator of the Museum of Fine Arts in Boston (which is home to Sargent’s marvelous murals) has said that Sargent was a sponge, soaking up a myriad of influences: Japanese design principals and the techniques especially of Velazquez and Degas. Carolus-Duran was also heavily influenced by the Spanish Baroque portraitist Velazquez, and this influence can be seen in the full length portrait of Dr. Pozzi at Home which hangs right next to the portrait of the Pailleron children. Sargent depicts Dr. Pozzi in an ecclesiastical mode, donned in red robes. Dr. Pozzi was not a cardinal or a priest, however, but the father of modern French gynaecology who advanced reproductive and sexual health for women. 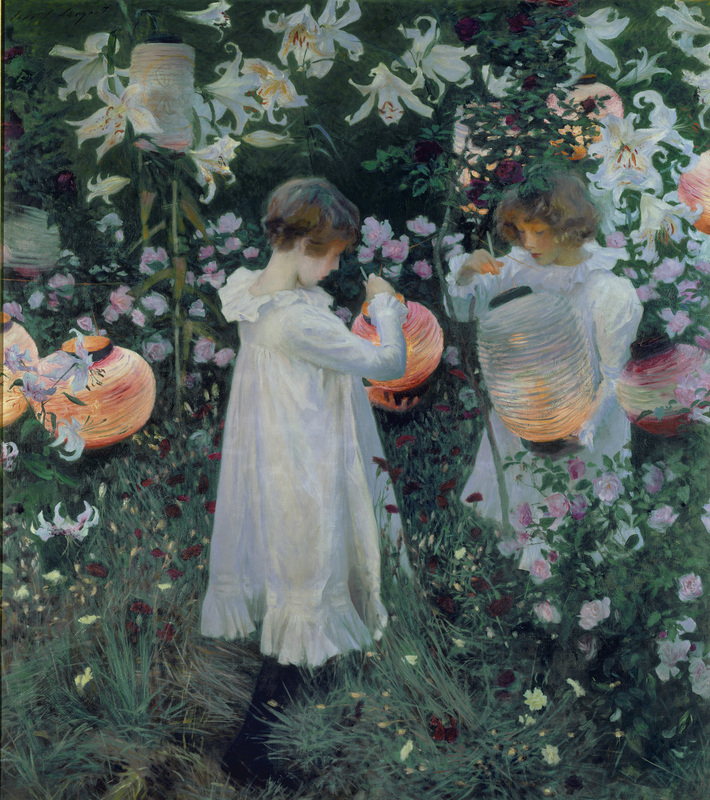 After admiring Dr. Pozzi I ventured on to gaze at what is one of Sargent’s Impressionist masterpieces: ‘Carnation, Lily, Lily, Rose.’ Sargent was close friends with Claude Monet and had learned a lot from him about capturing fleeting outdoor light. One portrait in the exhibit is of Monet sitting outside painting. The past few nights I have been listening to Mozart’s quartets while gazing at my incredible copy of the colourful ‘Carnation, Lily, Lily, Rose,’ for it was the feminist and art historian Vernon Lee who said that the painting’s pleasures remined her of the slow movements of a Mozart quartet. I am sure Sargent would have approved of this musical interpretation, as he was a talented musician himself. He was a lover of Wagner and a fine pianist. One composer he greatly admired and supported was Gabriel Faure. When I gazed upon the portrait of him I shed a tear as his facial features reminded me of a musician I once loved who is sadly no longer in my life. And as if I needed a reminder of the pain that accompanies unrequited love, one of the next images my eyes rested on was a brilliant sketch of William Butler Yeats. Yeats proposed marriage to Irish revolutionary feminist Maud Gonne six times and she rejected him outright. They remained ‘friends’ but I have always been skeptical of the nature of that friendship. As I entered the exhibit I was still nursing the pain of rejection by the man who resembles the portrait of Gabriel Faure, but getting lost in the pleasures of art is certainly a good cure. I then fell into conversation with an elderly American woman as I wandered through the room containing Sargent’s outdoor paintings featuring Wilfried and Jane de Glehn painting at a fountain, another entitled ‘Group with Parasols’ and the underrated but stunning ‘Paul Helleu Sketching with his Wife’. Sargent also painted portraits of August Rodin, Robert Louis Stevenson and the actor Edwin Booth, whose younger brother John Wilkes Booth had murdered Abraham Lincoln. Gallati says in her book on the exhibit that Booth ‘wears a tragic, haunted look alongside a masterful self-confidence.’ I believe it is Sargent’s incredible talent for appealing to a variety of moods and emotions that make his work so astounding, and while looking at the portrait of Edwin Booth it struck me as to why I felt a whole range of emotions while wandering through the exhibit. The joy I felt while gazing at the uplifting and colourful palette of ‘Carnation, Lily, Lily, Rose’, was then starkly contrasted by the romantic yearning that hit me while looking at the portrait of Gabriel Faure. Indeed, the whole exhibit made me feel both connected to the world and completely lost and lonely in it at the same time. The fact that Sargent had so many friends and acquaintances in the world of art, music, literature and theatre on both sides of the Atlantic is cause for both admiration and envy. But then, how could one not be well-connected and accepted when one has the unbelievable talent that Sargent possessed in many fields. I left the exhibit feeling deeply inspired to achieve more, learn more and keep on reading and writing and reaching out to and connecting with other writers, musicians and artists, for only by doing this do I escape the pain of loneliness and unrequited love. Barbara Dayer Gallati’s exhibition book has been my close friend this past month and Sargent’s art has filled my soul with hope and inspiration. ‘Sargent-Portraits of Artists and Friends’ runs until May 25th 2015 at the National Portrait Gallery in London. In June 2015 it then moves to the Metropolitan Museum of Art in New York. All images courtesy of Sylvia Ross at the National Portrait Gallery Press Office. It is a hot Saturday afternoon and I am standing in the middle of Portuguese artist Leonor Antunes’ exhibit at KW Institute of Contemporary Art entitled ‘A secluded and pleasant land, in this land I wish to dwell.’ I am alone, thankfully, because I am in a bad mood. 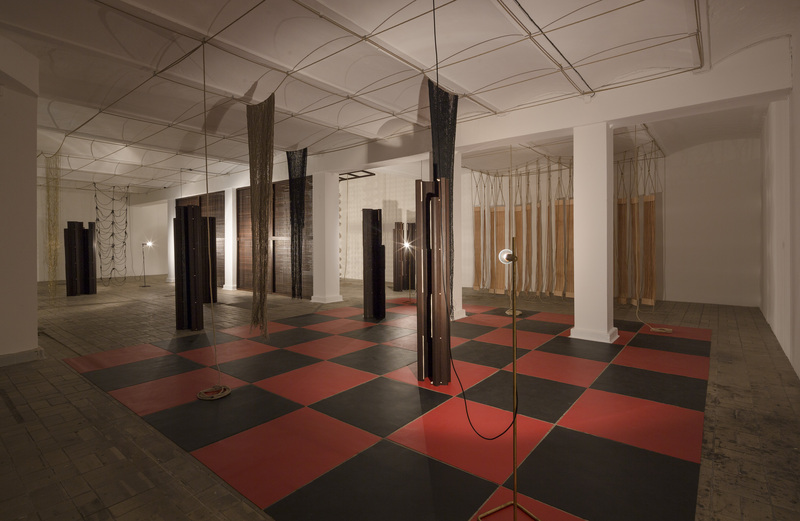 I have just walked down Auguststrasse in the centre of Berlin Mitte and entered this room of hanging hemp ropes, silk yarns, twirled and hanging bamboo sculptures and what appears to be a giant checkerboard on the floor. The rope makes me think of a noose, the checkerboard a maze. Hmm. I ponder the second half of the title: ‘in this land I wish to dwell.’ I am in the middle of a long goodbye to Berlin and have firmly decided that I no longer want to live in this land, and this exhibit is now irritating and depressing me. Gentrified Auguststrasse in 2014 depresses me too and makes me very nostalgic for the good old days of Berlin. I have many reasons for leaving now. The curator of this year’s Berlin Biennale, Canadian/Columbian Juan Gaitan at least got something right with his curatorial aim when he stated his intention to hold the exhibition in already existing cultural venues because he says ‘continuing to seek out seemingly abandoned or derelict spaces for exhibitions no longer reflects the reality of Berlin.’ Indeed. Aside from the venue I am now in – KW Institute for Contemporary Art, the Biennale (which is the exhibit for contemporary art in Berlin) is also being held at Crash Pad on Auguststrasse, Haus am Waldsee and Staatliche Museen zu Berlin-Dahlem. It seems a rather large stretch of the city to traverse to see a relatively small number of exhibits. 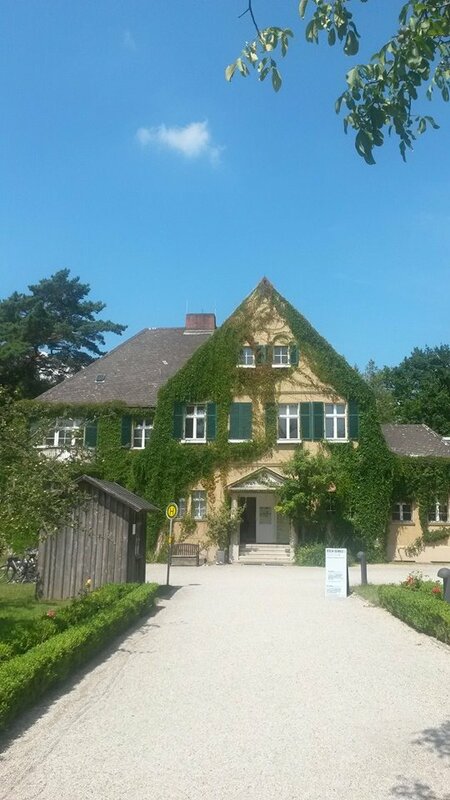 It takes at least forty-five minutes to get from Haus am Waldsee to KW Institute and who feels like commuting in this heat? Work from only a little over 50 artists has been commissioned and some critics are not too impressed with what they are finding. 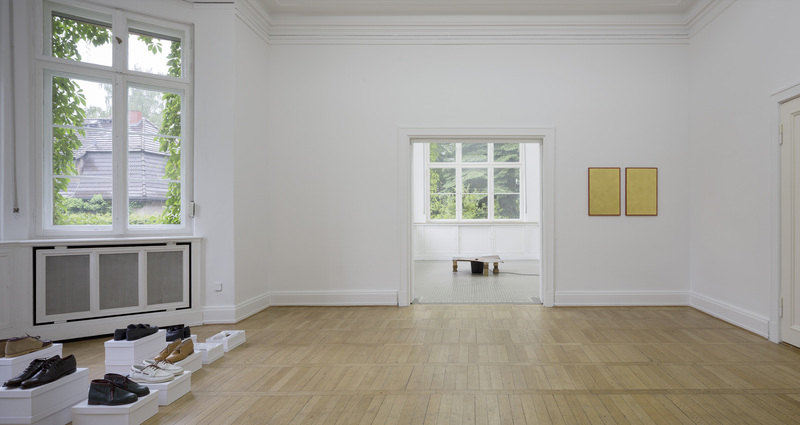 Art Slant Magazine, for one, says that the pieces on display in Haus am Waldsee are merely a ‘copy and paste curatorial approach’ to the work on display in Dahlem and do not really fit into the venue. There is also no coherent or central theme for this year’s Biennale which the curator says is intentional. He wants the connections between the exhibits to remain tentative and for the pieces to be fully open to interpretation in order to ‘enable the development of the viewer’s autonomy in her or his own encounter with art.’ Ok, well, I suppose that can be liberating. I can think what I want and I can take what I want from it, which is lovely, in a way. Is he perhaps suggesting or requesting us to get whatever we want out of it because most of us can no longer just get whatever we want out of Berlin as it becomes more gentrified? 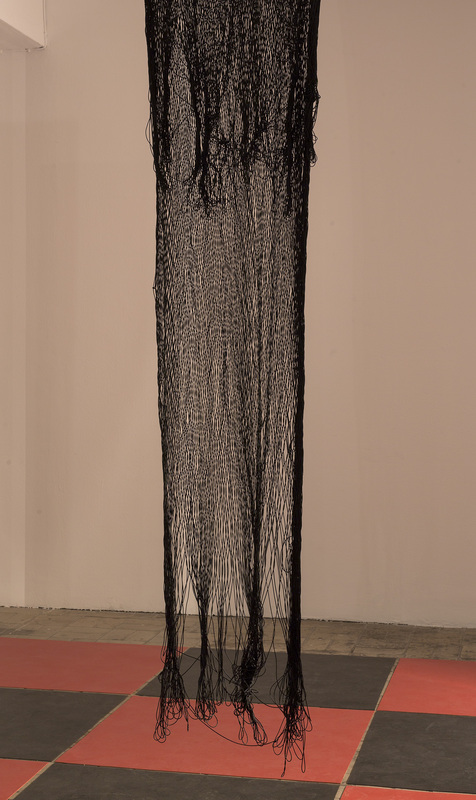 I move onto the next exhibit: ‘Stealing one’s own corpse’-(an alternative set of footholds for an ascent into the dark) by Mexican artist Julieta Aranda. I sit on the blue-carpeted floor next to what looks like a piece of a meteor. A few feet in front of me there is a white bear trap. It is set and ready to snare its prey. On the screen in front of me there is an image of a rat being mutilated with a knife. On the screen I read snippets about rats. ‘The rat as currency. That would be interesting. Stockpiling of dead rats causes inflation. Britain converts to the rat.’ The screen then shows an image of outer space. To the left of me, hanging on the wall there is a space suit. I glance at it. I glance back at the screen and continue to read the text: ‘Space being carved up and owned because capitalists and bureaucrats have failed to solve their antagonisms on Earth.’ I am starting to feel a little sick to my stomach. Is it the result of the infernal heatwave we are experiencing in Berlin? When I think of space being carved up all I can really think about right now is the Malaysian Airlines plane that has supposedly just been shot down by a Russian missile. Who owns that airspace? It also makes me think of the astronaut who took a photo from the International Space Station of Gaza Strip at night, aflame with bombs and missiles. He tweeted it and called it his ‘saddest photo yet.’ It is time to go and get a cold drink. After downing an expensive lemonade at the sweltering courtyard cafe I wander over to the Crash Pad which cheers me up a bit. 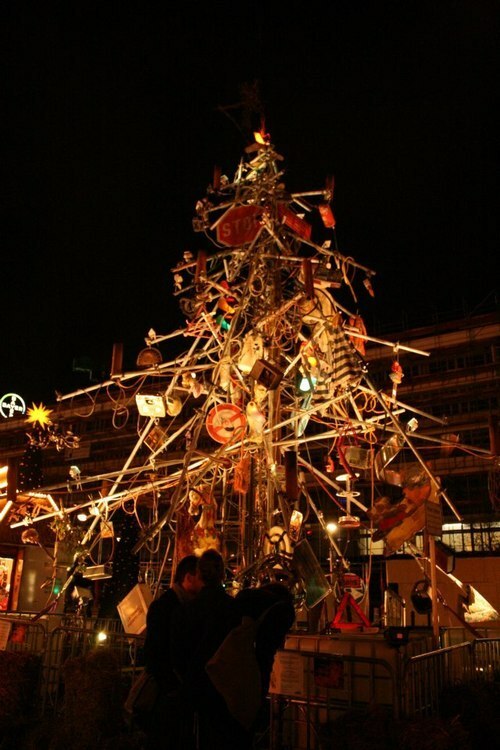 It is the design of Greek/Norwegian artist Andreas Angelidakis and was the first commissioned work for the Berlin Biennale 8. It is an inviting carpeted room with a library. The first book that catches my eye is ‘A History of Philosophy’. I am happy to sit down and relax. 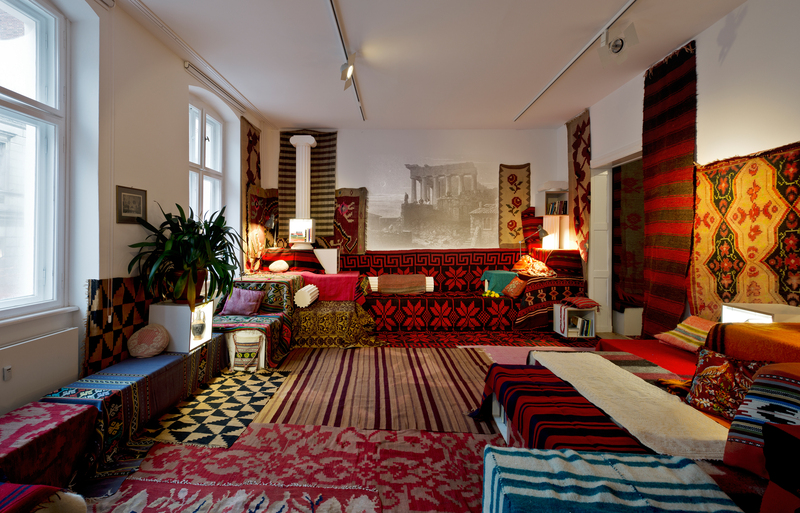 Angelidakis designed this lovely room in the style of a Greek salon to serve as a meeting point for visiting artists to exchange ideas. Right now, I am happy to just sit here in silent contemplation and try and shake the dark mood I am in. This is day two of my Biennale experience and I was hoping to get more positive inspiration than this but my hope is fading. It is nearly time to go home and have a siesta. The day before it was not quite as hot, however, and I was in a better mood. 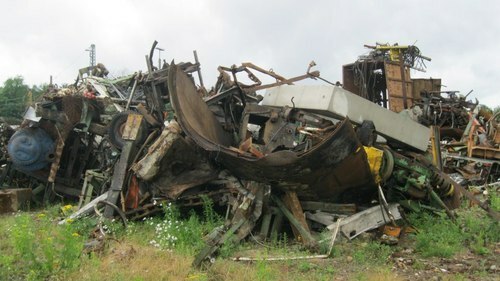 The suggested route of this year’s Biennale is to first go to Haus am Waldsee, then to Dahlem and then to KW Institute of Contemporary Art and the Crash Pad. So that is the route I followed. There is little point in trying to do it all in one day so I divided it into two days. The one ticket gets you access to all venues. And so I set out on Friday morning with my new neighbours, artists in residence, Charla Wood who is a photographer and sculptor from Austin, Texas and Joseph Amodei an artist and lighting designer from Chapel Hill, North Carolina. I am very happy to have such lovely new neighbours to do nice things with in my last few weeks in Berlin, and considering that it takes an hour to get to Haus am Waldsee from our building in Prenzlauer Berg I am happy for the company. 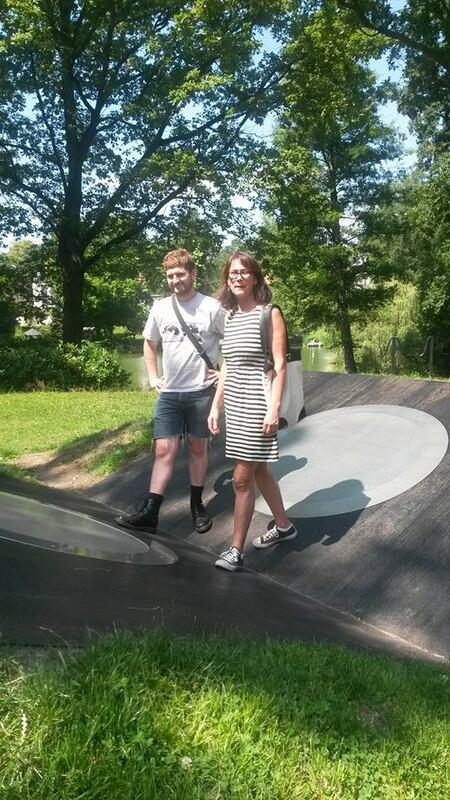 They are both new to Berlin and I tell them that Haus am Waldsee is one of my favourite venues for contemporary art and I have written reviews of the art on display there before. Haus am Waldsee is in a leafy and idyllic suburb of Berlin- Zehlendorf and it was originally built as a private villa. It exhibited the work of Käthe Kollwitz in the late 1940’s- the first woman to be admitted to the Prussian Academy of Art. When we arrive, the first exhibit that catches my attention is one by Cypriot artist Christodoulos Panayiotou: ‘3 pairs of handmade shoes, shoe boxes’ He has made the shoes into shoes from leather purses and they occupy the floor on the left hand side as you enter the room. Ah, transformation. Purses made into shoes. This makes me think of all the things I have at home that I still need to get rid of or ship back to Ireland. Just the night before, in fact, I had stumbled upon an article in the Huffington Post that showed a photo of a walk-in wardrobe with dozens of pairs of shoes. The article suggested the best way to approach purging extraneous things and living a minimalist lifestyle. This is one reason I have come to this exhibit today: because it is too hot to sit at home panicking about what to do with all the things I have collected. I would much rather be in an air-conditioned museum contemplating contemporary art and transformation. The day before, I had had a discussion with Joseph Amodei about his work and how sculpture occupies public spaces and how to use public spaces well for art. He showed me one of his works ‘Worked Space: ft. Glue Chains’ and our discussion also revolved around looking closer at something and seeing more. That is the core of his philosophy in his piece ‘Glue Chains’ and I found this fascinating and spoke to him about Christopher Isherwood’s book Goodbye to Berlin and the quote from it that has formed the core of my philosophy of living with my eyes open in my last few weeks in Berlin. The Isherwood quote being the theme of my essay ‘Goodbye to Berlin’: ‘I am a camera with its shutter open.’ Joseph and Charla and I observed what seemed to be a stack of logs in the corner of the garden at Haus am Waldsee: upon closer inspection, however, we discovered that it was not a stack of logs, but in fact, hollow on the inside. The joy of looking closer, the joy of being ‘a camera with its shutter open’. 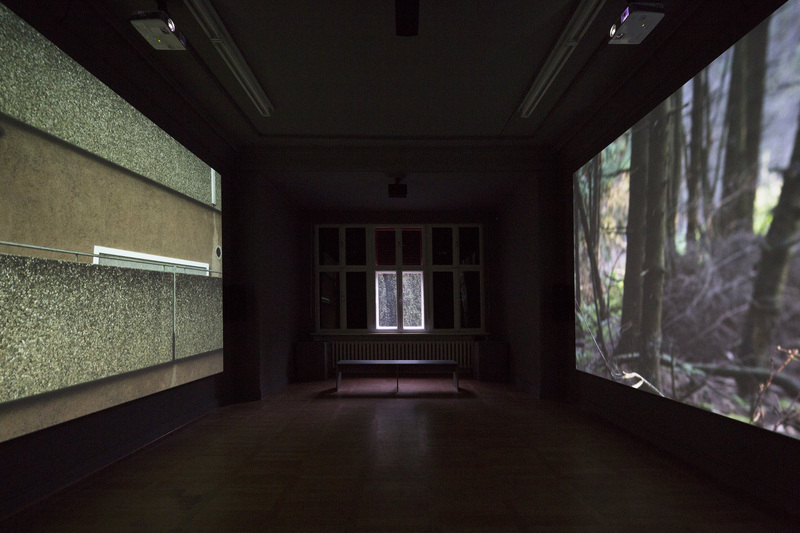 One exhibit that spoke to me at Haus am Waldsee was a two-channel colour film and sound installation by German-born artist Patrick Alan Banfield. 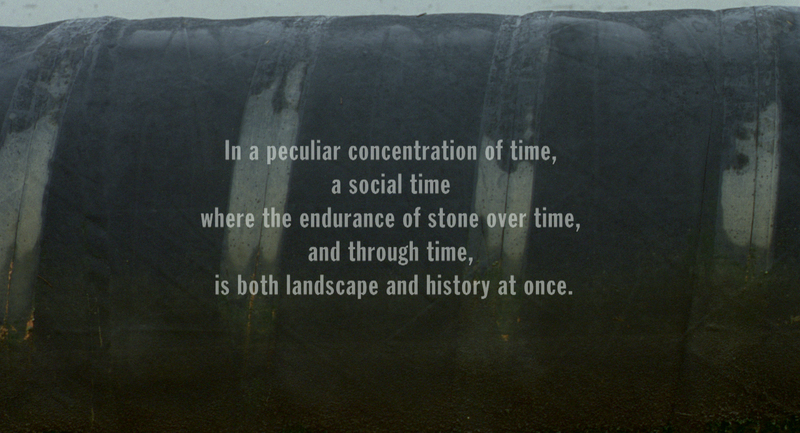 The pieces in each venue, according to the curator, are meant to reflect their surroundings. One screen showed enticing upclose shots of nature and woods and the other screen low-rent apartment blocks in Germany. This made me think of leaving my German apartment and moving back to Ireland. A return to nature and my rural roots. The piece was accompanied by very soothing music which made me relax and forget the hot day outside. So what do I get out of this? Plain and simple: Berlin has lost its allure for me. What used to seduce no longer does. Maybe it is just because I am getting older? 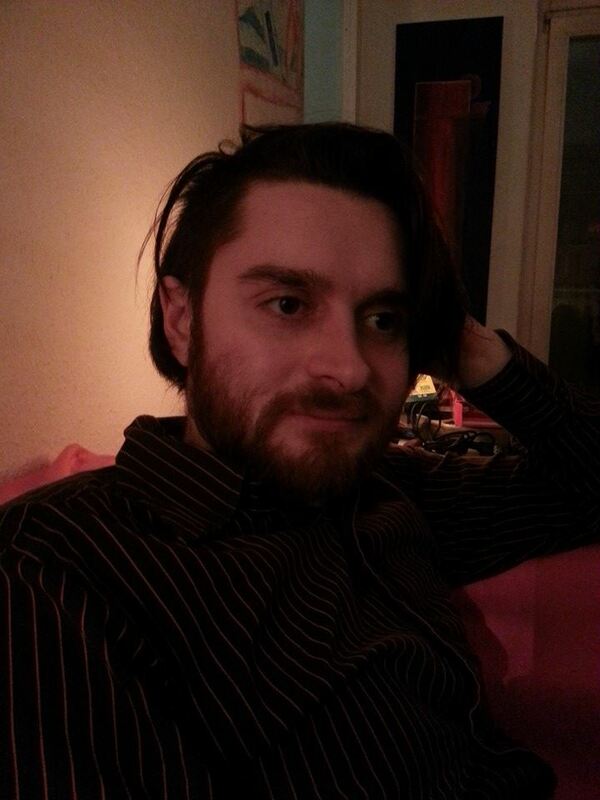 The seductive Berlin of my past remains a description and a memory. I think one of my biggest regrets is that I did not own a camera when I first lived in Prenzlauer Berg in 1993. But I can’t change that now and it is not so bad, really. The memories of my love for Berlin are burned into my brain, just as the memories of an enjoyable seduction get burned into ones’ brain and that is satisfying enough. As I wandered into another room of the exhibit I saw these words on a screen: ‘It was the time of the objects crisis.’ This was an installation called ‘Subconscious Society’ by Italian artist Rosa Barba. Well there is only so long I can hang out in air-conditioned museums when I am having my own ‘objects crisis’ at home. It is time to go home and continue sorting through and getting rid of all the objects of my 14 years in Berlin to enable me to move on and move to Dublin at the end of August. I will carry my Berlin memories with me and hope to be in a better mood with renewed energy when I next get a chance to visit a large art exhibit. 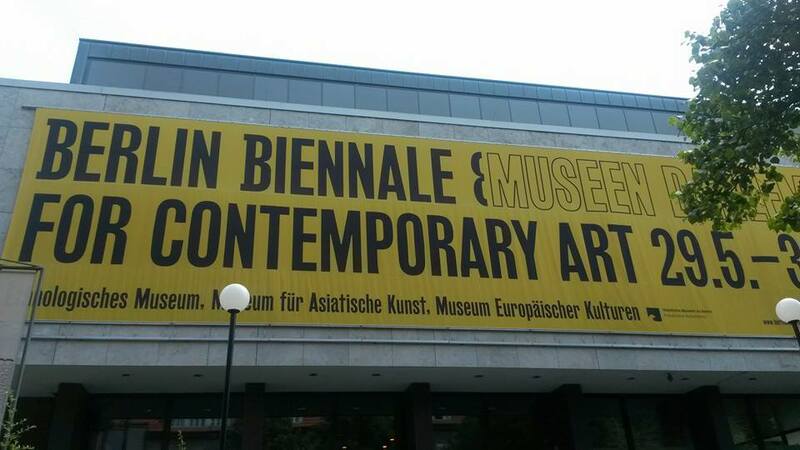 The Berlin Biennale has, all told, not really given me a huge amount of joy as I prepare to depart. Maybe it is just me and the headspace I am in, but I get the impression that others are also a little underenthused by the disparate nature of the exhibition. To read reviews of Sasha’s music check out his reviews page.